Recently, I commented on Jane Philpott’s, former Canadian minister of digital government, launch of the federal government’s Directive on Automated Decision Making, purported to use artificial intelligence (AI) to assist the government in replacing mundane administrative tasks within all of its branches. Shortly thereafter, and what seems to again confirm the judicial and governmental shift towards the employ of AI, the Estonian ministry of justice requested its chief data officer Velsberg Ott’s assistance in designing a “robot judge” that could adjudicate small claims disputes of less than 7,000 euros. Estonian government officials say they hope that the system will clear a backlog of cases, for judges and court clerks. In concept, the two parties to a dispute will upload documents and other relevant information to a court platform, and the AI will issue a decision that can be appealed to a human judge. The project is set to launch later this year and will begin by resolving contract disputes. 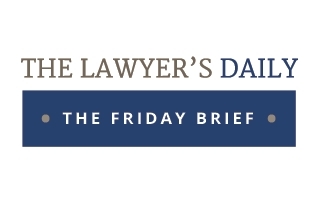 In a previous article, I commented on the Ontario Superior Court of Justice’s pilot project launched on Feb. 11, 2019: the Digital Hearing Workspace (DHW). This program is used to deliver, store, organize and retrieve all documents relevant to a file, electronically. The program is now in force and applies to all Commercial List proceedings. Failure to upload documents to the platform are addressed by a presiding court official. Combined with the electronic document system employed by the Estonian courts, and the backlog of small claims disputes which seem to parallel those experienced by litigants in Canada, the idea of an AI judge is very attractive. The integration of AI into the courts not only improves transparency and inherent biases existent in human adjudication but also significantly develops access to justice. The U.S. recently forecasted a time when AI-driven legal assistants might be presenting judges with case law, precedents and the background needed to make a decision. I very recently reviewed a very helpful, and very vanguard legal research AI tool championed by the company, Alexsei. Tools such as Alexsei use machine learning to identify relevant and up-to-date case law across the web and scan the Internet to discern lawyers’ opinions on cases as identified in their legal blogs. The software then generates a legal memorandum within 24 hours of being asked a legal research question. Last year, I also commented on a remarkable platform introduced by Google, “Duplex,” which successfully made calls using very human-like features and set up appointments for its user. At that time, I considered Duplex’s ability to assist legal assistants in scheduling calls, filing documents and offering significant organizational and litigating advantages to litigators across the country. Estonia is not the first to mix AI and the law, though it may be the first to give an algorithm decision-making authority. In the United States, in certain states, algorithms assist in recommending criminal sentences. The widely popular U.K.-based app DoNotPay, an AI-driven chatbot, overturned 160,000 parking tickets in London and New York a few years ago. In later 2018, as a final note, I commented on Justice Alan Whitten’s ruling in the decision, Cass v. 1410088 Ontario Inc. 2018 ONSC 6959, in which the Superior Court of Justice was called upon to consider a costs award following a successful defendant’s summary judgment motion. Justice Whitten not only dismissed the defendant’s plea for disbursements expensed on legal research due to its failure to use free legal research services but went even further to find that AI tools should have been employed and would have “significantly reduced” the client’s legal fees. Estonia’s adoption of an AI judge is just another step in the saga of the eventual automation of certain legal tasks and processes. Taken in harmony, the last year in Canada alone has seen the adoption of directives within the federal government regarding AI’s replacement of mundane administrative tasks; judges’ reprisal for the failure to use legal research AI tools to assist in conducting research and saving client legal fees; the DHW, requiring counsel and parties to upload their documents to an electronic filing system; and my personal favourite, Google’s Duplex which I hope will arrive into our industry soon. All in all, I repeat, adopt and reiterate that the legal industry’s resistance to the above changes will create great hurdles to lawyers and their staff alike. Modern judiciaries have already begun to expect the employ of legal tech tools by counsel, students and the courts. Again, should lawyers choose not to live up to the challenge, you could end up with a very disappointed client, potentially large and assessment-worthy client cost consequences and as of today, an algorithm’s reprisal. 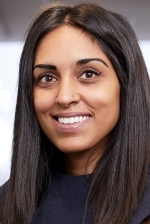 Tara Vasdani is a litigation associate at Mills & Mills LLP. 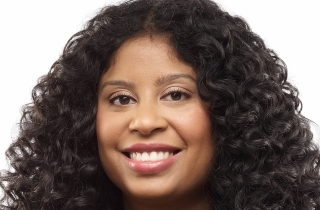 Called to the bar in 2017, she argued her first trial in December 2017 and was the first Canadian lawyer to serve a statement of claim via Instagram. She can be reached at tara.vasdani@millsandmills.ca.